These are the resources I used for reference while making this map. 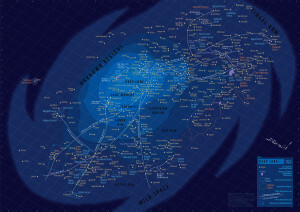 The ultimate guide to the Star Wars universe. This wiki is more than comprehensive and covers every topic from the movies and EU in depth. Enjoy getting lost in the article. My primary resource for the map. Credit goes to the authors Daniel Wallage and Jason Fry and the illustrators Ian Fullwood, Modi, Chris Reiff, and Chris Trevas. The atlas goes further into depth than what is shown here and is worth reading for it’s maps on historic events, detailed descriptions of planets and their systems, and histories spanning thousands of years. 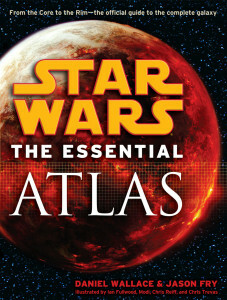 The online supplement to Star Wars: The Essential Atlas which includes additional information like maps of galactic sectors and and appendix of all planets in their respective details. My initial inspiration for this project. This is a vector PDF of the major planets in the galaxy in an isometric projection. The format lets you zoom in without losing resolution and search the text in the file to find specific planets. An old source, but the home of Modi’s original maps of the galaxy. 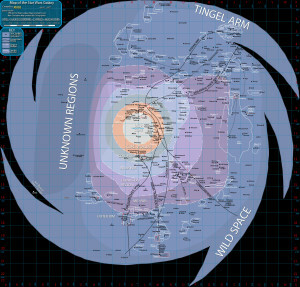 These maps have since been updated for use in Star Wars: The Essential Atlas.